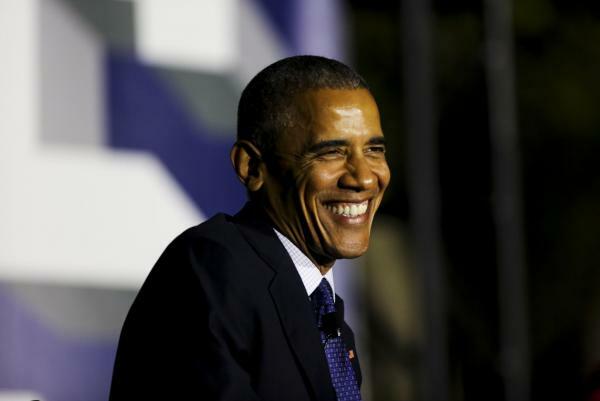 HAMDEN , Conn., Nov. 28 (UPI) — President Barack Obama leaves office with the highest approval rating in four years, a Quinnipiac University survey, released Monday, says. A majority of respondents called Obama a “great” or “good” president. Twenty-two percent called him “great” and 33 percent called him “good,” compared to 23 percent who rated him “not so good” and 22 percent calling him “bad.” Respondents, by a margin of 44 percent to 38 percent, said Obama’s policies have helped the economy, the rest saying they had no effect. Twenty-one percent said the polices have helped them financially, while 33 percent said they were personally hurt and 44 percent said they saw no difference. The results are Obama’s most favorable ratings since immediately after his 2012 re-election. “President Barack Obama’s final score card is a passing grade overall, but barely,” said Quinnipiac University Poll assistant director Tim Malloy. The poll noted both the Democratic and Republican parties had negative favorability ratings, but for the first time in two years, the GOP’s rating was better than that of the Democrats. The Republican Party was regarded as 38 percent favorable and 50 percent unfavorable by the respondents; the Democratic Party received ratings of 35 percent favorable and 60 percent unfavorable. The survey of 1,071 voters nationwide was conducted Nov. 17 to Nov. 20 by live interviewers calling landline phones and cellphones, and has a margin of 3 percentage points.